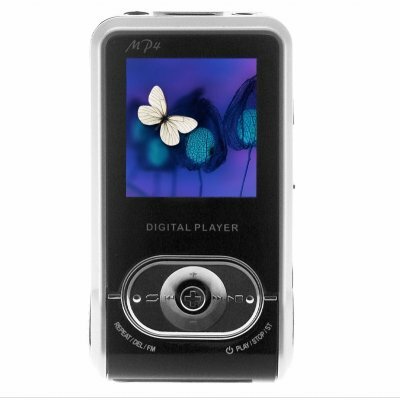 Successfully Added MP4 Player 1GB - 1.5 Inch TFT Display to your Shopping Cart. 1GB MP4 player for playing movies and music in super high quality on a beautiful 1.5 inch 65k COLOR TFT screen. This inexpensive MP4 player features dual earphone jacks and dual speakers for great sound, a FM tuner with the with the ability to record music as you listen, an E-Book reader, ID3 tags, and more. A great, inexpensive means for digital entertainment direct from Chinavasion wholesale.